Kim joined us in 2005 and qualified as a RDN in 2007. During this time her role as a dental nurse evolved somewhat and she was responsible for our Domiciliary service, became Head Nurse, responsible for all the clinical areas of the practice. Working alongside John Evans for twelve years (who has now retired), Kim has now decided to slow down herself, reducing her hours and responsibilities. 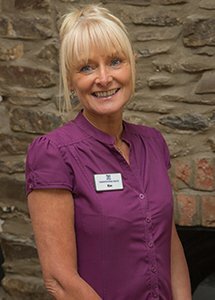 Kim has now joined our dedicated reception team. This now gives Kim more time to drink prosecco and eat chocolate.